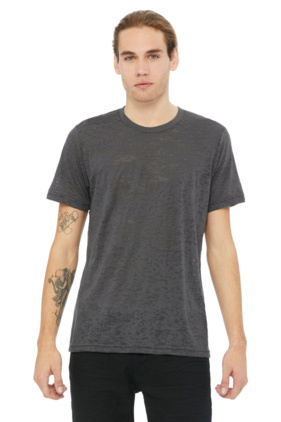 55% combed and ring-spun cotton/45% poly 36 singles 3.1 ounce burnout t-shirt. Solid rib neck trim. Side-seamed. Retail fit.